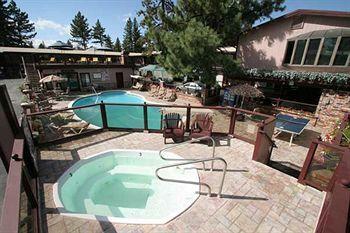 Features: Stardust Lake Tahoe sits just across the street from the Heavenly Gondola in South Lake Tahoe. 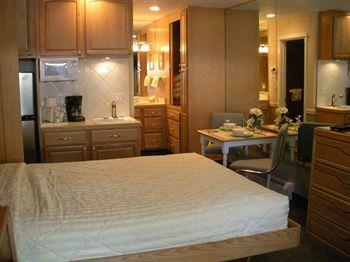 The property features cozy studios with kitchenettes, beds, sofas, dining tables and more. 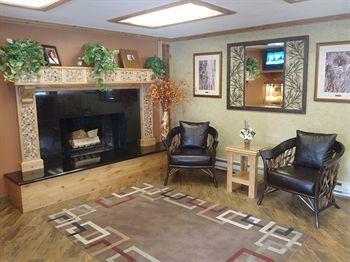 Enjoy free high-speed wireless Internet and complimentary coffee and donuts daily at the Stardust Lodge Tahoe. Why We Stay: The Stardust Resort Tahoe offers comfortable studios with everything you need to enjoy a home away from home. The beds fold up into the wall to create a large living room for fun activities. 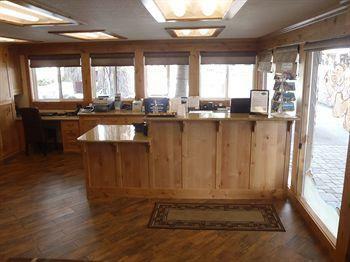 Daily Activities: Every day there is something new going on at the Stardust Lodge Tahoe. 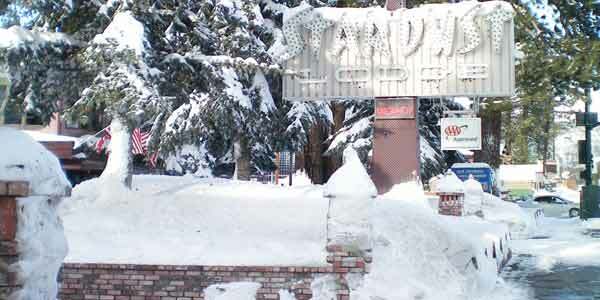 The friendly staff at the Stardust Tahoe put together fun activities every day like ping pong tournaments, family dinner specials and Pajama Karaoke. 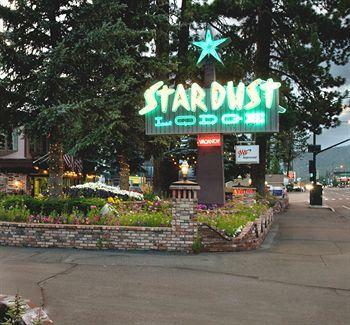 Location: Situated in the heart of South Lake Tahoe, the Stardust Resort Tahoe is near all the top Tahoe attractions and fun things to do. 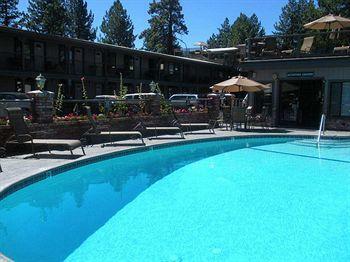 Find all the best Tahoe restaurants, shops and casinos just blocks away. Be sure to use the convenient Heavenly Gondola just across the street from the Stardust Tahoe. Vacation Packages: The Stardust Resort Tahoe offers great seasonal vacation packages, so make sure you take a look at their website for current specials. 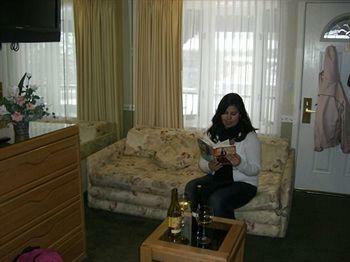 Inside Knowledge: The Stardust Resort Tahoe has an on-site library for you to check out some popular leisure reading. Do Check Their Website: Make sure you check out the website to see what specials and vacation packages are currently available at the Stardust Tahoe. Do Ski: The Stardust is right across the street from the Heavenly Gondola, which will whip you up to shred the mountains at the Heavenly Lake Tahoe Resort. Don't Bring Your Puppy: The Stardust Resort Tahoe is not a pet friendly resort, so make arrangements for your pet before you leave. 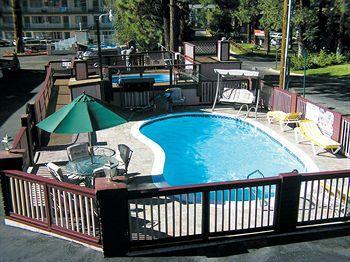 Don't Smoke: All rooms at the Stardust Tahoe are non smoking as well as the entire property. The Stardust Lodge is actually a lot nicer than it looks in the pictures. The sign in the front of it kind of makes it look like an older hotel, but it’s actually really nice. It’s not one of those upidy chain hotels like the Marriott or Embassy Suites. If you want that, they’re across the street. This is more of a quaint, down to earth hotel. The rooms have cute little windows and entrances to them, and they’re pretty nice sized. The rooms even have a small kitchen with an oven in them. But the best part about this place is its location. It’s literally right across the street from the Heavenly gondola. So you can literally just walk right across the street with your skis or snowboard and get right on the lift. It’s also just down the street from all the casinos on the Nevada side of the stateline. A great place to stay if you don’t want to be at the casinos, but you wanna be close enough to head on over whenever you want. They have a heated pool that’s open year round and I’ve actually seen people swimming in it at night during the winter. Looked a little cold, but they seemed fine. I’d recommend this place for sure. 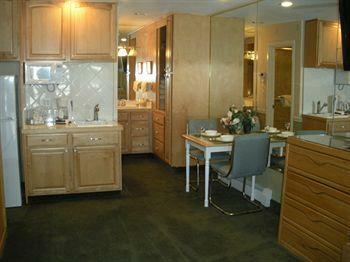 It’s not badly priced, it’s in the perfect location and the rooms are nice. What more could you ask for? The studios at the Stardust Tahoe come with either a queen bed or twin bed with premium bedding and a fully loaded kitchenette including a refrigerator, microwave, toaster, blender and all tableware as well as an electric fry pan and hot plate on request. Fold up the bed into the wall during the day to maximize the size of the living room and better enjoy the television, board games, DVD player with movies and complimentary WiFi. 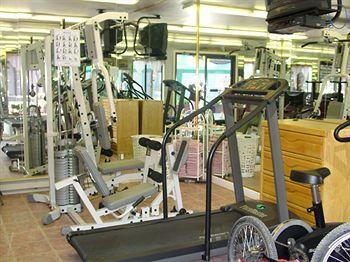 There are also discounted outdoor sports rentals available at the activities center.